← The Frasassi Caves: a magic underground world. If you love breathtaking landscapes, made up of lakes and mountains, we recommend a few days in Cavan, a magic country. With its rivers, lakes and canals, Cavan, which is in the east of Ireland, offers many possibilities for those who love water sports, as well as for those who love excursions in its wonderful landscapes, among the most beautiful in Ireland, which invite you to an exciting trekking on horseback or to a walk in the hills, for a relaxing holiday. Tourists will be able to spend a day along its quiet and unspoiled countryside, or you can do many other activities, such as canoa and kayak, or go to the beautiful Cuilcagh Mountains which are near to the Northern Ireland, or visit the area between Blaklion and Dowra, with its many prehistoric monuments. In this wonderful natural setting there is the Cabra Castle Hotel, an architectural gem characterized by beautiful rooms, corridors and stairways. It is a very elegant castle, where many famous guests, such as Oliver Cromwell and King John II stayed in the past. The luxury rooms have a direct access to the beautiful garden and you can also enjoy a beautiful golf course and the opportunity to have dinner at the Castle enjoying the typical Irish menu with a breathtaking view of the surrounding property. 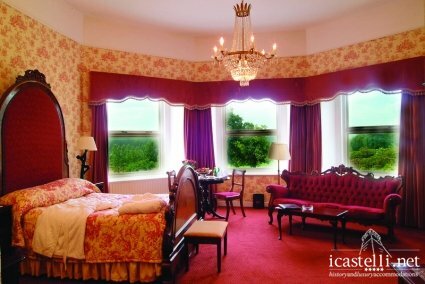 This entry was posted in Historic and Luxury Castles, Destinations and tagged cabra castle hotel, castelli storici e di lusso, cavan country, contea di cavan, holidays ireland, hotels cavan, hotels irlanda, luxury castles, vacanze irlanda. Bookmark the permalink.